In fire-hazardous rooms and rooms with high air possible secure installation (in the pipe, box). Section 2x0,35 mm Max. Outside diameter 4,3 mm Rated voltage&nbs.. Section 2x0,5 mm Max. Outside diameter 4,5 mm Rated voltage .. Section 2x0,75 mm Max. Outside diameter 5,2 mm Rated voltage&nbs.. Section 3x0,35 mm Max. Outside diameter 4,4 mm Rated voltage&nbs.. Section 3x0,5 mm Max. Outside diameter 4,7 mm Rated voltage .. Section 3G0,5 mm Max. Outside diameter 4,7 mm Rated voltage .. Section 3x0,75 mm Max. Outside diameter 5,4 mm Rated voltage&nbs.. Section 3G0,75 mm Max. Outside diameter 5,4 mm Rated voltage&nbs.. Section 4x0,35 mm Max. 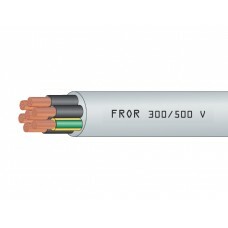 Outside diameter 5 mm Rated voltage .. Section 4x0,5 mm Max. Outside diameter 5,3 mm Rated voltage .. Section 4G0,5 mm Max. Outside diameter 5,3 mm Rated voltage .. Section 4x0,75 mm Max. Outside diameter 6,1 mm Rated voltage&nbs..